U2 will follow in the footsteps of Adele, Michael Buble, Harry Styles and Sam Smith when they feature in their own BBC TV special this December. The show, presented by Cat Deeley, will see the veteran act perform some of their greatest hits and new songs from their upcoming album Songs of Experience at London’s famous Abbey Road Studios. The special will also include a behind-the-scenes look at U2's recent concert in Sao Paulo, Brazil at the end of their Joshua Tree Tour 2017 during which the band allowed TV cameras backstage and gave Deeley a tour. "U2: Biggest band in the world. Stadium Rock Gods… and all round good eggs!" Deeley said in a statement. "I had the privilege of joining them on tour in Sao Paulo and now they’re coming back to the UK for an intimate show at Abbey Road Studios. 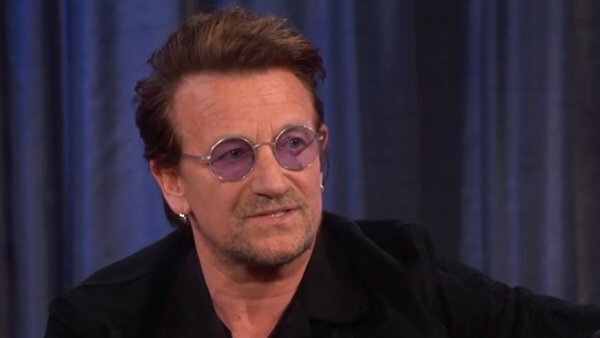 "I’ll be catching up with the band and there will be performances of brand new tracks and U2 classics. It’s a once in a lifetime opportunity and I can’t wait!" 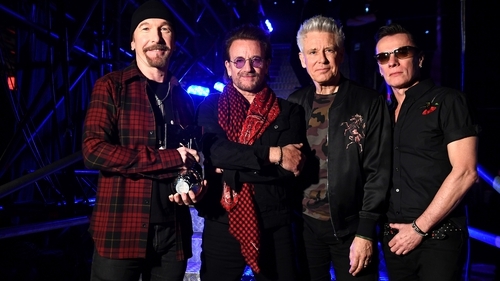 Guy Freeman, Editor of Special Events and Formats at BBC Studios added, "I’m delighted that U2 have agreed not only to give us such an exclusively intimate performance, but also to share with Cat and viewers some of the more fun aspects of being part of the world’s biggest rock band." The band won the Global Icon Award at the MTV Europe Music Awards on Sunday and performed a free warm-up gig in London’s Trafalgar Square. The BBC was found to have breached editorial guidelines in 2010 with their coverage of U2, including a U2=BBC logo that was deemed an endorsement. Songs of Experience is released on December 1.